Are you ready for Organic Week NZ? Take part in New Zealand’s first ever National Organic Week – bringing you a full week of events, offers and promotions. Organic Week NZ will be held 9th – 15th April 2018, set up by a collaboration of leading organisations within the Organic Sector that are at the forefront of organics. The organic movement is on the rise worldwide and this is no different in New Zealand as the nation is becoming more consciously aware of what is put into and onto your bodies. Look out for products with the Organic Certification logo. Certification can be trusted – BioGro, AsureQuality, Demeter and OFNZ do the hard work so consumers can glance at a label and feel at ease that what they’re purchasing is what they say it is. “For one week every year, we aim to bind together the sector for a campaign that will celebrate, educate and help New Zealand really understand what organic is and what is available to them here,” say the organisers. The objectives include raising awareness across New Zealand for certified organic farmers, producers and manufacturers, to understand the connection between organic as a practice and the infinite benefits it holds. The week is designed to educate New Zealand on what it means to be certified organic. The rigorous process it takes to be organic, and why you can trust a certification label. The organisers hope to capture government attention in the need for National Regulation, alongside the national positive effects of organic practice and to mainstream organics as a key to sustainability and climate change. 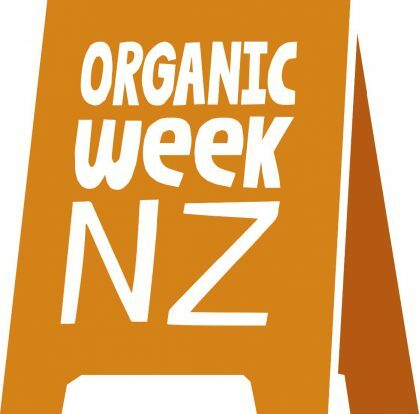 Organic week NZ will offer vineyard and farm visits; special offers and promotions; tastings and samples in stores; and many other community events.